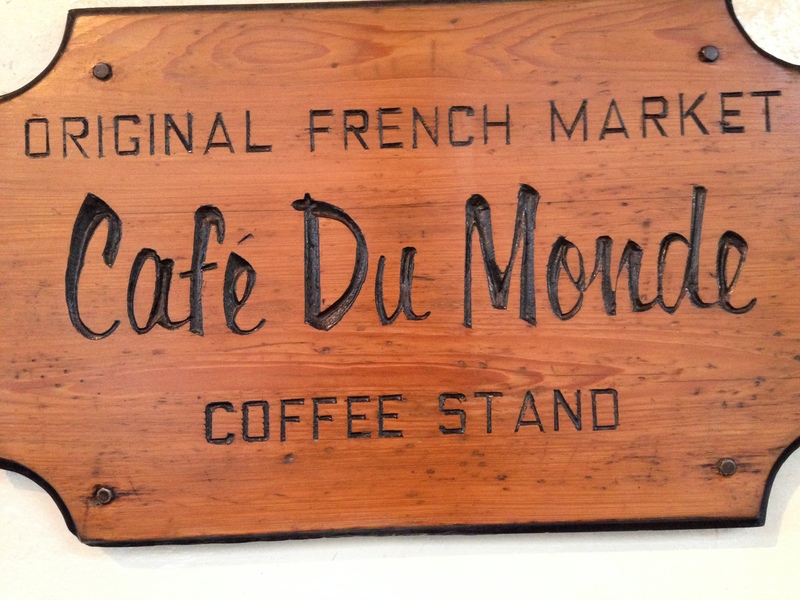 It’s oft been said that no trip to New Orleans is complete without a trip to Café Du Monde. Funnily enough, I’d visited the city a few times without stopping there, but rather than it being due to ignorance, my reason for giving it a miss had always been the crowds. 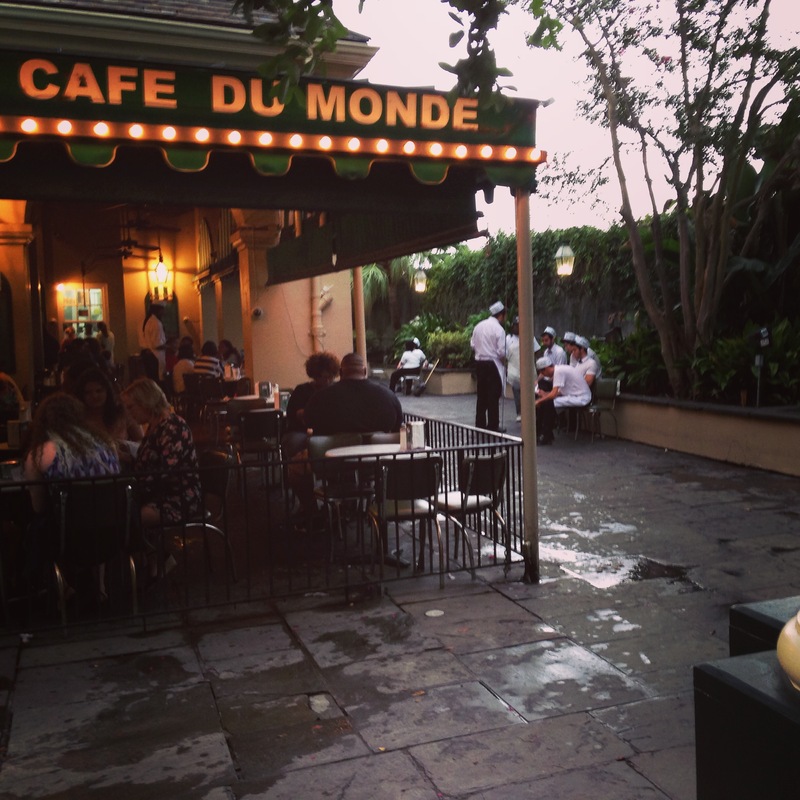 Despite being open 24 hours a day, 7 days a week, there is ALWAYS a crowd at Café Du Monde. It becomes a mission to find a table the moment you walk in the door, as there are always hundreds of patrons and wait staff crammed into the small restaurant, the wait staff running about with trays filled with coffee and beignets, waiting customers staring hopefully at each passing tray, eating customers in various stages of delight as they consume the delicious fare. It’s all more than I can handle, or has been in the past. This time round though, I told myself to toughen up and get in there. I didn’t know what I had been missing. How does one describe a beignet to the uninitiated? Warm, sugary, doughnut like perfection. So bad for your heart, your arteries, your weight, but a blessing to your soul. 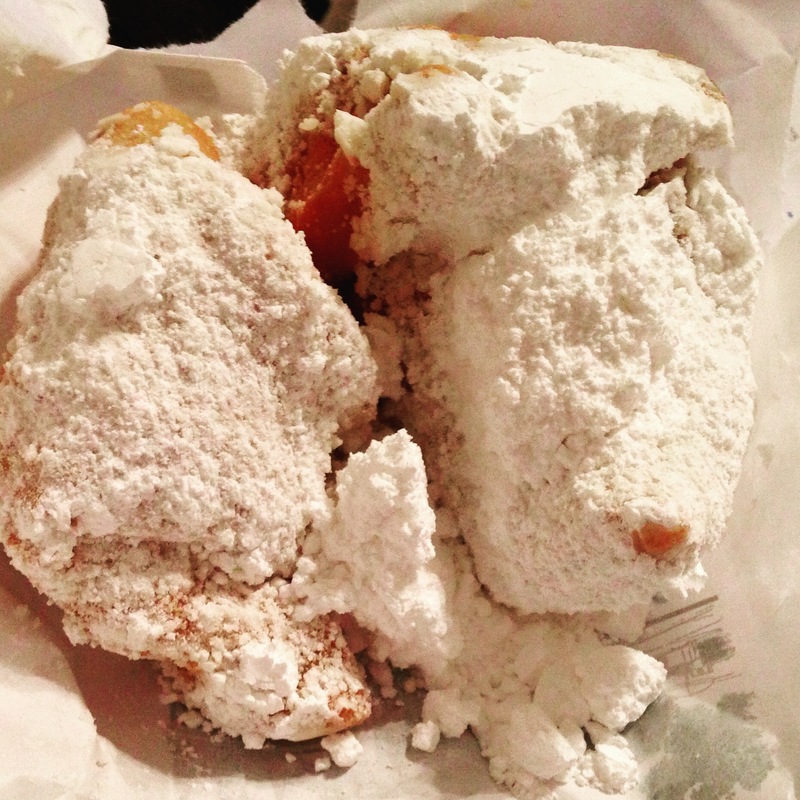 A beignet is basically a battered doughnut, which has been drowned in icing sugar. They’re served warm, commonly with coffee. They’re also cheap, so for the budget concious traveller they’re a quick and economic way to kill hunger – You’re looking at about $5 USD for 3 huge beignets and a jumbo soft drink. (Not that New Orleans has any shortage of delicious food, but it does vary in price). They’re also a great snack at the end of the night, to consume as you’re walking back to your hotel through the Quarter as the moon is rising, or when you’re tucked up in bed enjoying the air conditioner and cable television. In retrospect I can say that while I do regret not going to Cafe Du Monde on my first visit (crowds or no! ), my one regret from this visit is not getting more photographs of the wait staff as they were gathered around the back of the restaurant on break. There was something about them, sitting around in a little huddle, in their paper hats and aprons, that was intriguing and romantic and just a little bit sad. It wasn’t hard to imagine each and every one of them smoking a cigarette and sharing their story of a broken heart over beignets and coffee. Than again, that might be my imagination running away with me.